Like us on Facebook to be able to enter giveaways this week! Monday 2/25 – $130 towards any shoe or boot of your choosing! Tuesday 2/26 – A Prana yoga kit! Wednesday 2/27 – Rab Microlight Alpine Down jacket! 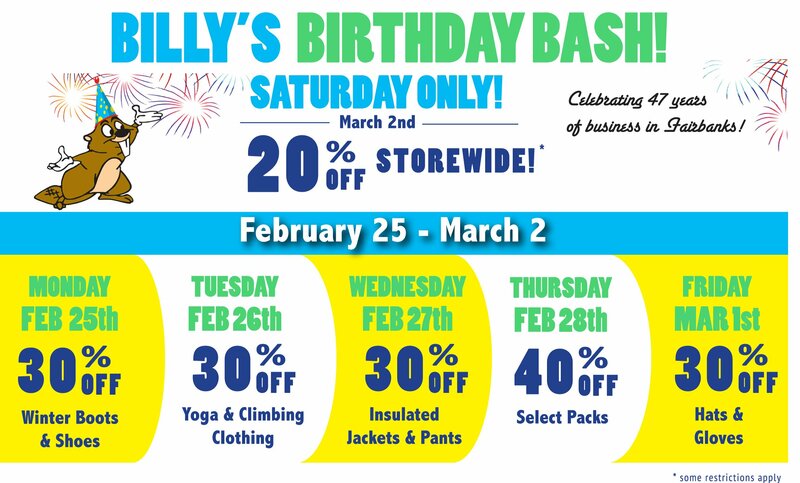 Thursday 2/28 – Osprey Atmos or Aura Pack! Friday 3/1 – $100 towards and Hats, Gloves, and Mittens! Double your chances at winning by stopping by the store and entering in person too!